With Christmas just around the corner, ita��s time to get into the Christmas spirit. If your enthusiasm needs a boost there is no better way to start off the Advent than to visit the most iconic of all Christmas shopping – a German Christmas Market! 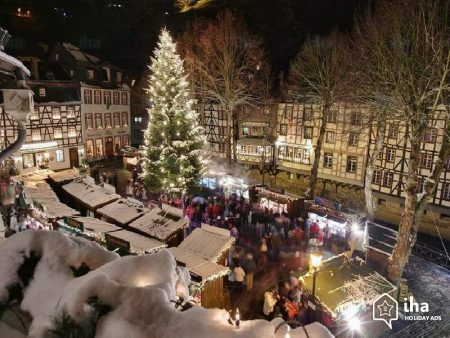 Imagine walking around the old town of Nuremberg, Hamburg, Leipzig or Cologne, festively lit with a huge Christmas tree in the centre of the market square. All around the Christmas tree are small wooden stalls, and maybe an ice rink or carrousel. As you walk past these stalls where people sell arts and crafts, hand-made baubles and decorations, hand-knitted scarves, hats and gloves, you grab a hot pretzel and glA?hwein (mulled wine). 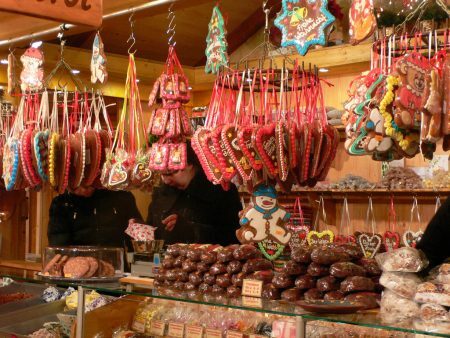 The smell of freshly made Printen, Lebkuchen, Spekulatius a�� all traditional German Christmas cookies – is all around, while you pick up original hand-made gifts for your friends and family. Why not make your Berlin Christmas markets trip even more worthwhile by including some German language classes into your daily activities. Book your Standard Language Course (20 lessons per week) with Cactus now for only 568 EUR for one week including half board accommodation in a host family for a unique Christmas experience in Berlin. Or if you want to stay for New Yeara��s Eve as well and see the fireworks over the Brandenburger Tor, book your Long Term Standard Course now from 2260 EUR for four weeks including Student Residence B&B Accommodation. You can also take German evening language courses across the UK starting in January. For more information on any of our courses please call us on 01273 830 960 or email us. Our multilingual team will be happy to answer any questions you may have. Posted on 22/11/2016 25/04/2018 Author Fay DrewryCategories German, Language NewsTags german, german course, german course offer, german courses, german in berlin, german in germany, german language course, learn german, study in germany, visit germanyLeave a comment on Get into the Christmas Spirit!